When we're waiting for the Olympics, NYTimes.com offers its first 'pearl'. 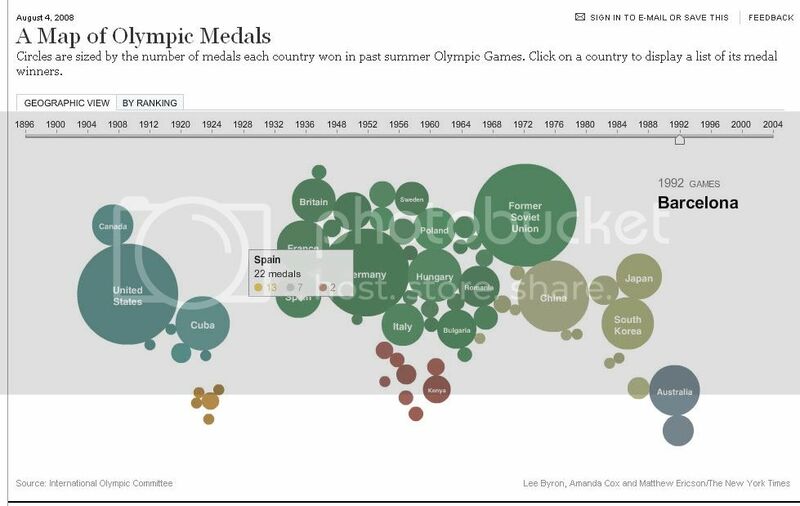 An evolution with the number of medals by country and Olympic games. Which I like the most of this kind of graphic is that they are as the great football (Soocer) players. They make great things, but they look as the easiest graphic to do. And, as NYT does, it goes one step further. Click on any circle. 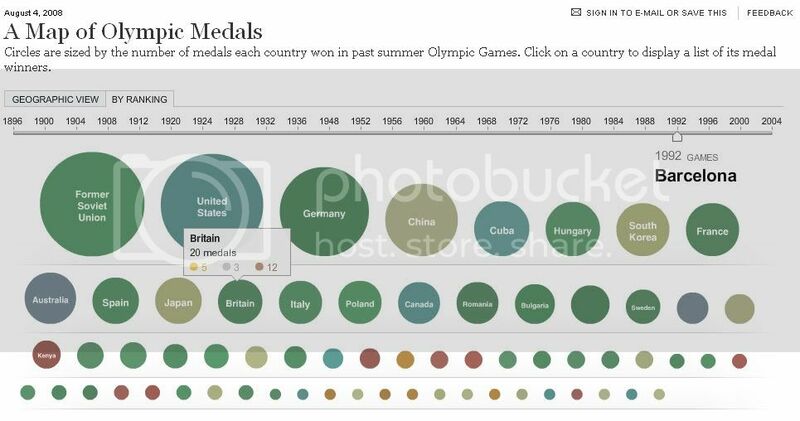 You'll get the number of medals, but also the sports and athletes that won them.